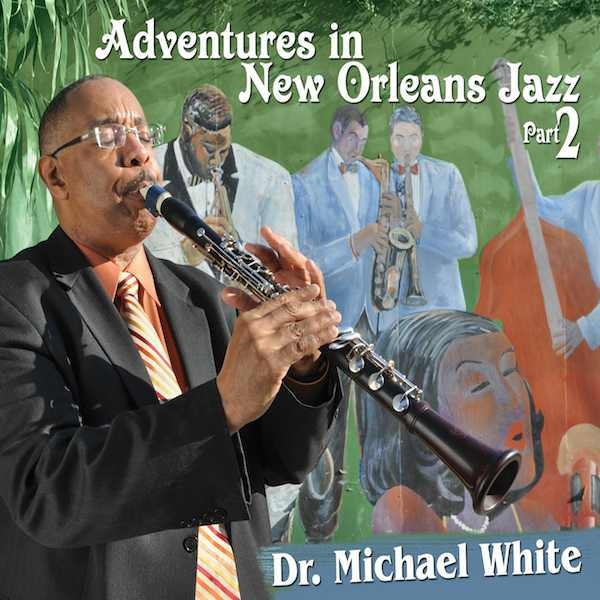 Part Two of Dr. White’s exhilarating and euphoric musical adventures, which have been not so much “in” New Orleans jazz as “with” it, display a distinctly domestic character, particularly in contrast to Part One, which proposed a decidedly international itinerary. Adventures in New Orleans Jazz, Part 1 opened with the rounded tones of the balafon as an introduction to White’s composition “West African Strut” before embracing cultural expressions from Africa (“The Lion Sleeps Tonight”), Haiti (“Rara Second Line”), and Jamaica (“One Love” by Bob Marley). Part 2, on the other hand, opens with what might be considered two American, even regional, classics: Hank Williams’ “Jambalaya,” which might as well be Gulf Coast Louisiana’s theme song, and “Midnight Special,” a prisoners’ folk song best known through the version recorded by former Angola State Prison inmate Huddie Ledbetter, also known as Leadbelly. 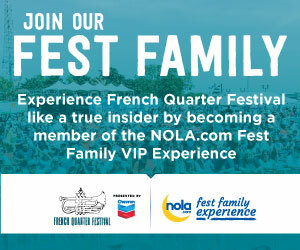 Even the more locally based selections reflect a preference for material that has become inextricably associated with the New Orleans jazz tradition, including the early brass-band parade staple “Panama,” the Dixieland hit “Tiger Rag” (which features deliciously animated vocals by trumpeter Greg Stafford), Sidney Bechet’s exquisitely lyrical “Petite Fleur,” and a natural choice for the closing track, the New Orleans street-parade anthem “Second Line.” The two gospel numbers, both with perfectly unaffected vocals by Cynthia Girtley, also come from deep in the New Orleans musical DNA: “St. James Infirmary,” with its morgue setting implicitly resonating with overtones of a civic disaster that shall go unnamed, and “Precious Lord,” a hymn calling forth the memory of the Crescent City’s great gift to the world of gospel music: Mahalia Jackson. 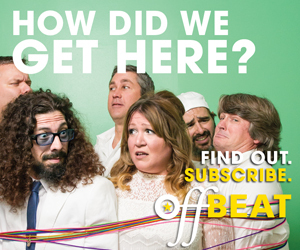 All are rendered with what is clearly a deep love for the New Orleans tradition of ensemble improvisation, an extraordinarily high level of musicianship, and a highly infectious feeling of joy and enthusiasm. 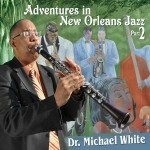 That might be said of any really good traditional New Orleans jazz album, but what sets this recording and its predecessor apart are White’s remarkably fluid, wide-ranging, warmly inflected, and brightly expressive clarinet performances. They are omnipresent and dominate the sound of every arrangement, providing each with an abiding and eloquent sense of soul, and a lively air of precise and welcome articulation. Where are the adventures? Well, how about a love song, “I Love You Too Much to Ever Leave You,” composed by Dr. White and sung by Stafford, that could have made the hit parade sometime in the late 1920s? Or how about a couple of totally unexpected rock repertoire covers? “Me and Bobby McGee,” arranged so elegantly that nowhere is there even the slightest whiff of Southern Comfort, and “Happy Together,” a hit for the Turtles and a truly sublime and joyous outing for Dr. White and his musical friends. The crowning achievement of this CD is the nine-minute dirge “And the World Weeps,” composed by Dr. Lonnie Smith, the turbaned jazz organ master who has lately been a frequent visitor to the Crescent City. Against a constant backdrop of heavily accented and solemn bass drum beats, trumpeter Leon “Kid Chocolate” Brown joins trombonist Lucien Barbarin and banjo master Detroit Brooks to decorate the funereal atmosphere with a series of gorgeously embellished and even playful solos so closely linked together and reflected in each other that they literally seem to make the time stand still. The performance casts a spell of such concentrated and heightened awareness that it takes the raucous carryings-on of the six-minute “Tiger Rag,” which follows, to completely dispel it.